If you find this topic helpful leave a comment. -I intentionally did NOT replace the toilet paper roll that had half a sheet left when I came into the bathroom, with hopes that my husband would have to experience the inconvenience of an empty roll firsthand on his next trip to the bathroom. BACKFIRE - I was the fool who used the bathroom again and inherited the empty roll. He did end bringing me a new roll. -I make dinner most nights. I ask him to one night last week. We had fish sticks. Just. Fish sticks. There are a variety of reasons that our divorce rate in the USA is roughly 50%. This post sounds like you are headed that direction. I'm sorry, I don't understand what you are asking? Sounds as if you have a fair division of labour - you cook the food and he eats it! He was very kindly folding laundry and you came in and he allowed you to take over! You probably do a better job than him anyway. As for toilet/bathroom things - well women are always going to get into a tizzy about that, not a man in the world is going to win there. Of course he expects praise, he helped didn't he? One never knows,these men are unpredictable. Some praise is ok but when you are married to someone that constantly need/demands reassurance ,it is very draining,annoying to say the least.No marriage is bulletproof. Register today. Membership is FREE. 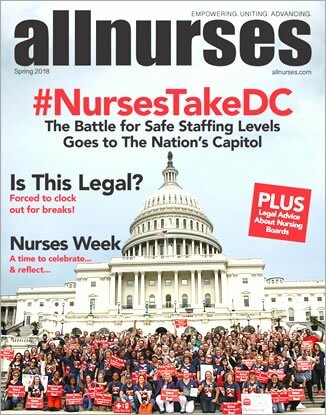 allnurses is a Registered Trademark.